Hello- It is this time of year when it 2 things like to go down chimneys, SANTA and Raccoons. Raccoons are looking for a safe place to live for the winter months. Summer homes in remote areas are the animals favorite because no one is home. 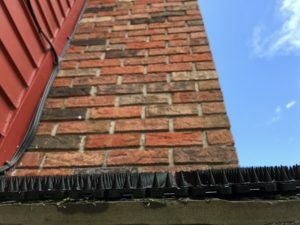 We Have been Installing the Critter Pricker ® around chimney stacks to prevent the Raccoons from climbing up the chimney to access flume. 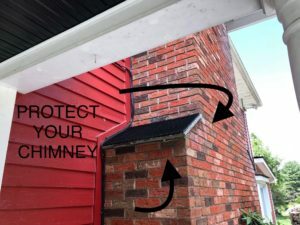 The Critter Pricker ® will defend the chimney and protect your home. NO more surprises in the spring! The Critter Pricker can also be a great Wildlife / Raccoon removal with out traps. We have published a lot of videos on our YOUTUBE channel to show how good the product works.